Pretty cute, huh? Bat Beeb is sure to have all those pre-teen girls swoonin' over him, wishing they could give his big pointy ears a loving tweak. By the way, speaking of the Bieber kid, the overrated little twerp is playing tonight at Toronto's Air Canada Centre. My readers from around here may want to avoid that area of downtown until tomorrow. You have been warned. You're right! 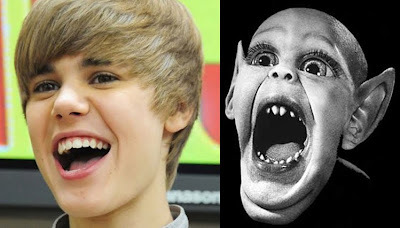 He is Bat Boy! WWN should sue. Oh God! That was a shock to the system! Hes a demon hell-bent on destorying humanity. Creepy. 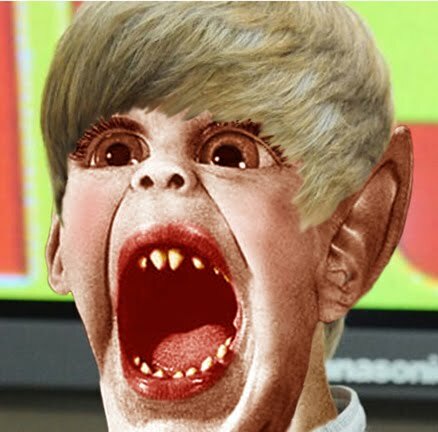 Now I absolutely hate Justin Beiber and his awful hackwork singing more than ever before, and especially since he lives in Atlanta, where I live. I can't believe people take amateurism seriously now in this day and age! 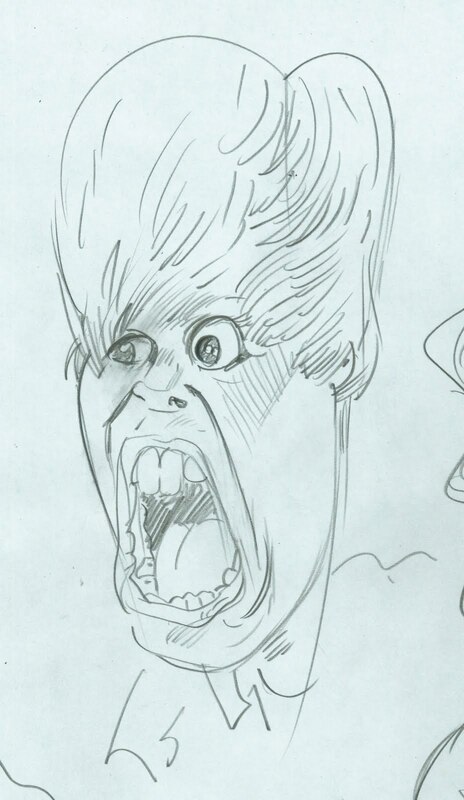 Even the people I know from high school like this guy and Kate Gosselin. Yuck. Now I wanna see you Photoshop that screwy Kardashian family. Those are even huger knuckleheads than the Beiber guy. I don't even know how they even became famous. Hey Pete, I wish I had seen your post before going to Union Station today!...all these people there to see Justin Beiber....B-r-r-r-r.... Crime against humanity. Why are little kids obsessed with teenage boys and girls these days? What happened to the days of Spongebob and Elmo? How did this transition happen? Hey Pete it was great to run into you at the Fan expo I enjoyed our conversation. take care and the best the blog looks great I'll be sure to add you to my links. I'm new in your blog.. and I love this post! My sentiments exactly! wow pete u crack me up ! Love your work by the way - I was lured to your blog by your terrific post on Rockford, and I'm thrilled to be here. Keep up the great work!